I have always known that I want to specialise in Obstetrics and Gynaecology, so when I had the chance to experience more of it on elective I was really excited. I heard about WTW at a University electives evening and after speaking to a student that had been last summer, I knew it was exactly the type of elective I was looking for. Her elective stories from her time in Dar and speaking to the WTW team in the UK helped me decide which programme to choose. I wanted to gain experience of medicine with few resources and little technology and this is what I got! I spent three weeks in a district hospital and then a week in Kivunge in Zanzibar for the Village Experience. Both placements helped me to experience the 'real' Africa I was looking for. Planning my four weeks in Tanzania with WTW could not have been more stress free and it was a much easier option compared with organising the other half of my elective independently in Borneo. Arriving in Dar, the stress free elective continued when we were met at the airport by Mark and Alpha who took us back to the house, where we had a chance to sleep off the travelling and get shown around. We met the other students and knew immediately that it was going to be a fun four weeks. The following day Mark took me to the district hospital for an orientation visit. It was even more resource scarce than I had expected, but the skills of the staff pleasantly surprised me and I realised that I would learn a great deal. Working in the department was amazing on every level. It was emotional and very inspiring. 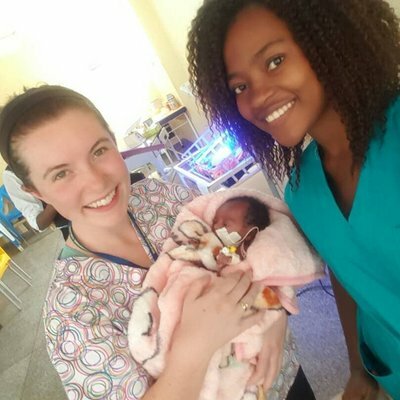 When talking to a midwife on my return from Africa, she said that I had seen obstetric complications and conditions that it took her years to see. Both fetal and maternal death was something that I had little experience of prior to my elective, but due to the lack of equipment and monitoring for pregnant women it was a stark reality. 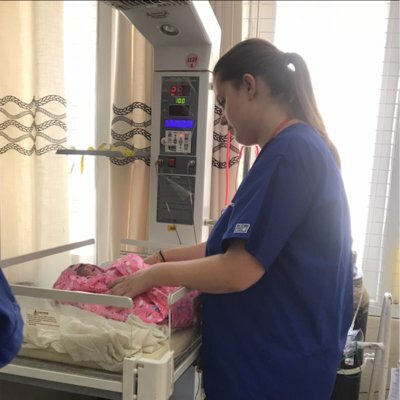 It was such as busy department with babies being born about every 5 or 10 minutes, which, in such a small labour ward of 12 beds, felt very chaotic. During the placement I managed to get a lot of practical experience, which had been the main aim of my elective. I had the chance to monitor and examine women during labour and perform a large number of deliveries. I was also able to get involved when women needed interventions such as putting in catheters, cannulas and also performing artificial rupture of membranes, episiotomies and suturing post partum. My village experience in Kivunge was a definite eye opener, the facilities were a hundred times more basic that at the hospital. Having a chance to live as part of the community with the Juma family meant that I went home feeling I had experienced rural Africa. 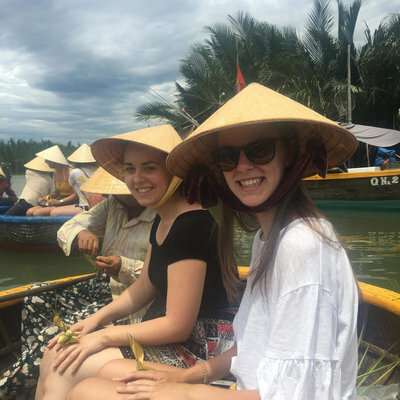 A bonus was the afternoon excursions that you get to go on whilst on the village experience, such as going to a turtle rehabilitation aquarium and the beautiful northern beaches, a spice tour and swimming in underground caves, plus many more. When I wasn't at placement there was plenty to do whether it be spending the afternoon at the house by the pool, going to the nearby Slipway to visit the market stalls or weekend trips further afield. I had two weekends in Zanzibar, it is so close and amazing, and not going would be a crime! I got to swim with dolphins, and also had a cheeky stay at the Hilton as a treat after exams. I went on Safari to Mikumi National Park where I saw so many animals; it was definitely worth the long journey. At one point the jeep was surrounded by over twenty giraffe, with a few elephants and zebra dotted between them. A world away from the UK!! I enjoyed my time in Tanzania immensely and would recommend WTW to anyone. It was worth every penny! I just wish that I had stayed longer and that's my one piece of advice to all those going!